The ratification of the IMO Ballast Water Management Convention date is fast approaching, and according to a survey we conducted with more than 35 port state control (PSC) personnel, many will not be prepared come September. There is a lot of uncertainty in the shipping industry in general, with 70 percent of the survey respondents aware that ballast water regulations had been ratified, but zero percent had a plan in place to address the duties of ballast water compliance. The messy way the IMO and USGC ballast water regulations have limped towards implementation has put major stress and fatigue on the entire industry. Because millions of dollars are spent with each BWTS decision, that step has been center stage for longer than anything should be on center stage. This oversimplifies that BW compliance is merely the installation of a BWTS. This necessary but massive change is disruptive to the whole industry, but let’s not forget the roles played by ports and crews, in addition to the regulations and treatment hardware. While ship owners will need to consider the best treatment option for their ship, they should understand that there has been very little operational experience with Type Approved systems. It’s probably not safe to assume that a BWTS will work as exactly and as effectively as advertised, and there are likely to be a few surprises when adding new technology (has anyone ever known new technology to be seamlessly integrated?). When a BWTS with Type Approval is installed on a ship, it will be operating in a different environment than the one under which it was tested. It’s not that they won’t work effectively, it’s just that little is known about how these systems actually do work. Therefore, the baseline knowledge on which to build upon and provide guidance is very limited. Even the BWTS manufacturers need hundreds of additional hours and hundreds of additional installations until failure mode effects analysis can be available. In the meantime, the crew and officer will develop this experience and expertise on how their system operates, and the officer signs the log each time there is a BW event. Additionally, few of the currently installed BWTS are actually turned on and operate on a daily basis; from a population of perhaps 4,500 ships with BWTS, installed, maybe 50 vessels turned them on today. Because these systems have little or no track record, ballast water management records are going to be carefully reviewed by PSC, as PSC has a responsibility for assessing them. PSC may want to inspect the system simply for the novelty. Crew members will need to understand the underlying reason for these treatment systems and be aware of their operation, as these will likely be the first biological system they have had to deal with. So, as vessels are choosing their BWTS and planning retrofits, port officials will be reviewing what local and national laws should be included in their BW Management Plans. These will affect the way they inspect and monitor incoming vessels under the new IMO regulations. This is a two-way responsibility, since vessels routinely call on new and different ports, there are port-specific changes ships will need to know about. BW operations will create new duties and procedures for the crew, the BWMP will not sit on a shelf, it will be pulled down on average every third or fourth day. It is also worth noting that PSC can implement additional requirements for their port. This is not new, it has always been the case. In the U.S. for example, the Port of Long Beach has different inspection, monitoring and sampling methods for BW management than the Port of Seattle, or ports in the Gulf of Mexico or on the Atlantic coast. These ports may use the same BW forms, but they can protect their waters as they see fit, with additions to their compliance, monitoring and enforcement plans. They may also have different fee structures. When a ship visits a port the crew needs to understand their relationship is going to change and new, signed regulatory documents will be required. In the control of invasive species, ports and harbors are the “ground zero” of this global plan, and everything planned thus far comes down to the discharge of ballast water. As the advance guard mandated for enforcement, PSC will be challenged with thousands of vessels to regulate. 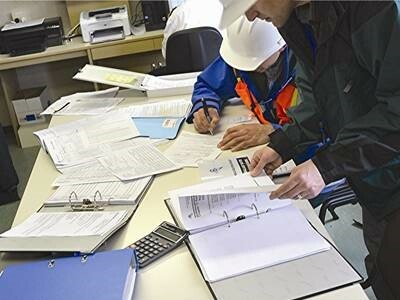 It has been proven at the world’s top ports which have already implemented their BW regulations and procedures, that ships and crew pass inspections more quickly when they have their documents in order and relevant crew members can clearly explain their procedures. The feedback I get is that in 10 minutes an inspector can determine if the crew is compliant with regulations. Especially with new regulations, the crew must be trained and able to explain their BW actions. If they can document their actions, and document they have had training, its “thumbs up”. Inspectors are likely to do random spot checks, and repeat offenders will likely be subject to full testing. It’s a different day. A knowledgeable and trained crew is a good investment, with a small upfront cost yielding a significant return. Understanding how to complete and maintain ballast water management plans and documents will save time and allow vessel officers and crew that operate BWTS to get up to speed quickly and be compliant, which results in cost savings. Also, consistent training provides a means to not just respond to changing requirements, but to understand them and optimize solutions that best meet a vessel and operator’s specific requirements. This will be evident in the documentation, and PSC inspections will then become routine. Initially, identifying non-compliance will be much easier than looking for full compliance. I would stress that this is FOREVER…all stakeholders will need to recognize that there are new players, new equipment, new maintenance, and therefore new costs associated with these new regulations. Every vessel will be impacted, every port will be impacted, as well as thousands of mariners, etc. In a situation of dynamic change where the industry also depends on flexibility and low cost, with respect to BW regulations, it will be better to control one’s destiny and anticipate change, and invest in telling their crews this is the future. Ports are new partners in a new documented and managed activity. The decision to prepare for new regulations and develop a compliance strategy allows vessel owners and operators to most effectively manage commercial and technical risks, and to minimize the impact on ship operations. Bryan Bjorndal is the President and CEO of Assure Controls, and has been actively involved with ballast water management and compliance issues. Assure Controls develops products and services for ports, ships, and crews to meet IMO requirements and USCG laws for ballast water compliance. Our goal is to prepare ships and their crews to be “discharge ready” on an ongoing basis, and to protect against costly mistakes or undue delays.